Personal Genomics is a new form of genetic testing that uncovers the personal health traits that you inherited from your ancestors. Specifically, these DNA tests can measure your inherited risk for genetic disorders, your carrier status for diseases you could pass on to your children, and other wellness and trait reports. The traditional (and highly expense) route was to order a DNA test through your physician. Then a company called 23andMe began to sell an autosomal DNA test online that included genetic health reports. My wife and I found these reports fascinating and well explained. The 23andMe service in the US now includes reports that meet FDA standards for being scientifically and clinically valid. Other regulatory bodies regulate the test in other countries. So the exact list of approved reports will vary by which country you're in. If you have already tested your DNA at 23andMe, Family Finder or AncestryDNA, you can use your raw data to get a set of health-related reports at XCODE. I tried this and discovered many genetic tendencies that seemed right on target for me. The reports are well presented and easy to understand. They even provide recommendations for diet and supplementation to help with each covered condition. Overall, it's an interesting expansion of the DNA data provided by the testiing companies. 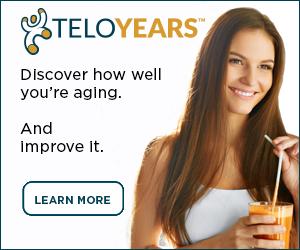 Another personal genomics DNA test that has impressed is Teloyears. This test measures the length of our telomeres, which reveal how well we are aging at the cellular level. Telomeres are the protective caps at the ends of our chromosomes. In order to heal and function properly our bodies must replace worn-out cells with new ones. Telomeres protect our DNA during this process. As we age, our telomeres get shorter. Decades of research shows that shorter telomeres are associated with many age-related diseases and mortality in general. By measuring our telomeres, the Teloyears test tells us how well we are aging at the cellular level. When I did the test I learned that my cellular age is two years less than my calendar age. The test report comes in the mail with an excellent booklet called "Blueprint for Aging Well." This explains how dietary and lifestyle factors impact telomere length and cellular aging. The 23andMe test includes several additional features beyond health testing. Their DNA Relatives feature compares your DNA with others in their database to produce a list of genetic cousins. It's a popular feature with genealogists researching their family trees and adoptees searching for biological relatives. Another feature of the 23andMe test is their Ancestry Composition report. This shows you the relative percentages of your ancestry that came from different parts of the world. This report breaks down European ancestry into sub-regions. Plus, it can spot Native American and Ashkenazi Jewish ancestry. The test also reports your Y-DNA (men only) and mtDNA haplogroups, so you can see the ancient ancestry of your paternal and maternal lines. Overall, it's a great package of DNA information. If your DNA reveals a higher than average risk for a certain disease, there is no need to panic. Genetics only accounts for part of the risk. Other factors such as diet, exercise, smoking, and obesity have a major influence for many conditions. Just knowing you have that higher genetic risk can help you take more control over your health. Lifestyle changes may offset your genetic risk. Plus, personal genetic information allows you and your physician to choose and schedule screening tests more appropriately. Likewise, you should not allow a lower-than-average risk to create a false sense of security. Again, genetics is only part of the big picture. But it’s an important part that you should know. Are You in Canada or the United Kingdom? The 23andMe DNA test is now available directly to people in the United Kingdom and Canada. The health reports have been accepted by the regulating bodies there. So users get both ancestry and health reporting features. To see those country-specific web sites click here. Then scroll all the way to the bottom to select the country.